The anticipation for Halloween started about a month ago at our house. My kids love Halloween. I’m sure candy is one of the biggest reasons why, but donning a custom on and playing dress up all day long is a close second. If your kids are getting antsy for Halloween, these fun ideas will help them survive until that magical day. 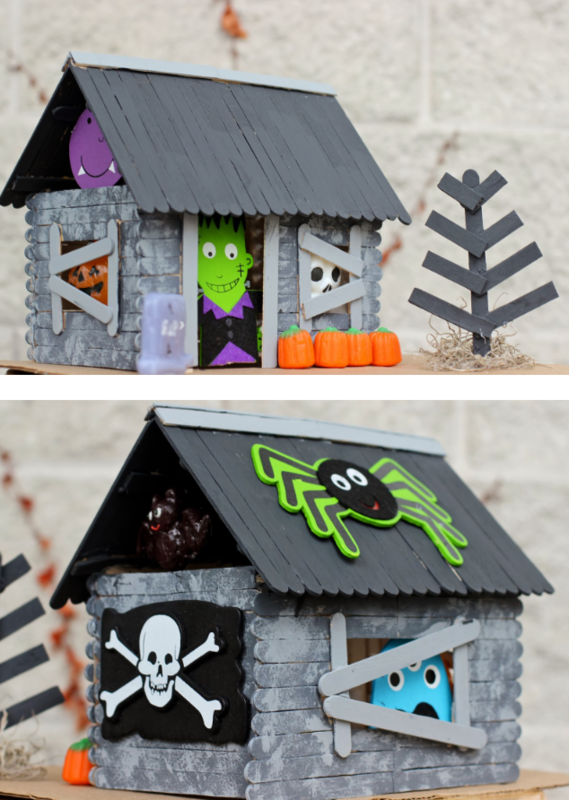 How darn cute is the Popsicle Stick Haunted House? I think I may need to try this for Christmas too. 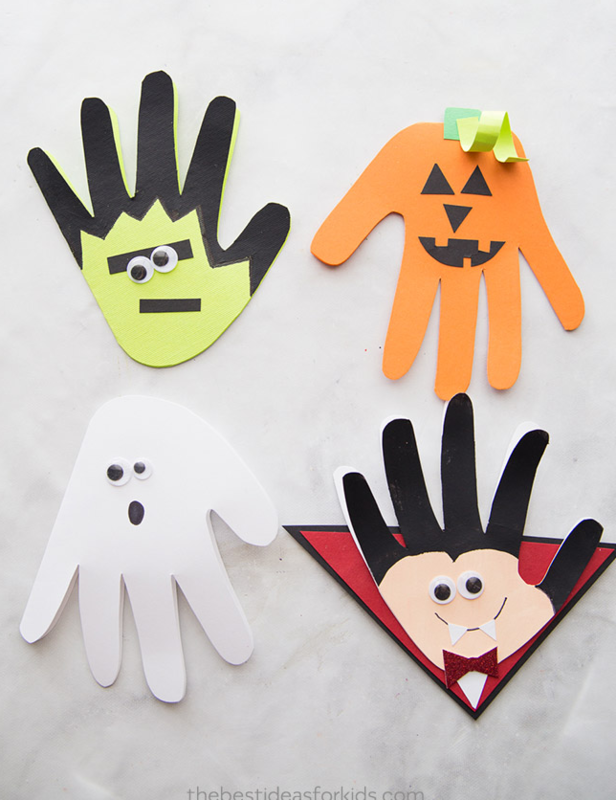 Four different crafts your child can make with their handprint here. 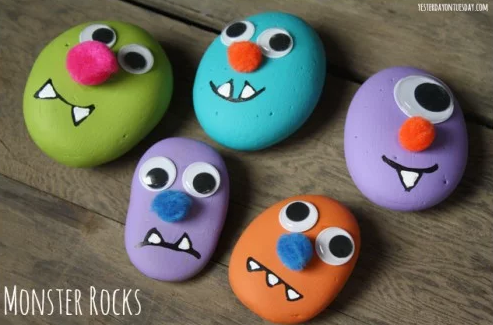 Rock Painting, these rock monsters are sure to be fun. Needs some fun games? 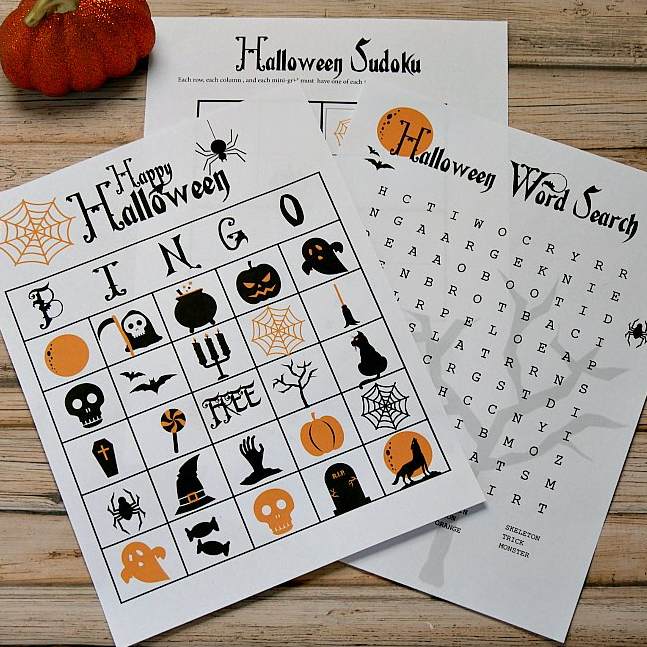 Check out this Halloween Bingo, Word Search, and Sudoku. We love trivia and this special Halloween edition is sure to be fun. 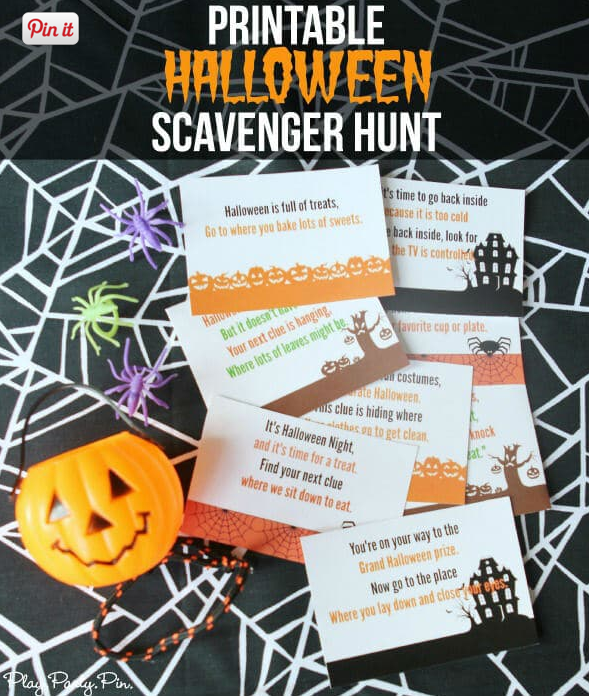 A Halloween Scavenger hunt will definitely get us excited for the big day. Why is food so much more fun in different shapes? 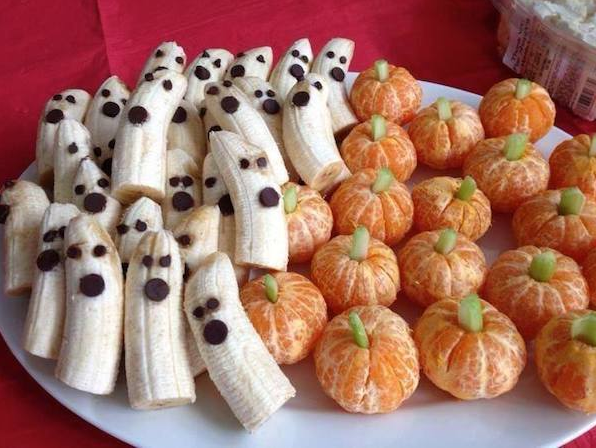 I’m not sure I know the answer why, but I do know that your kids will love these Halloween themed healthy snacks. Not only will these ideas be great for Halloween day, but they may just help my kids contain the excitement as we countdown to Halloween. Find healthy snack ideas here. 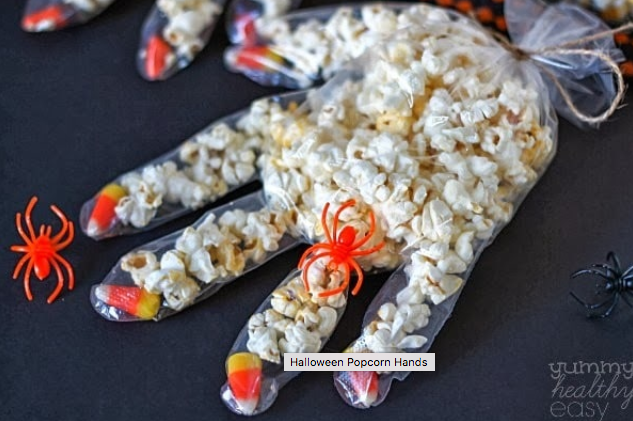 Halloween Popcorn Hands make these and you are sure to be hit at snack time or on Halloween. 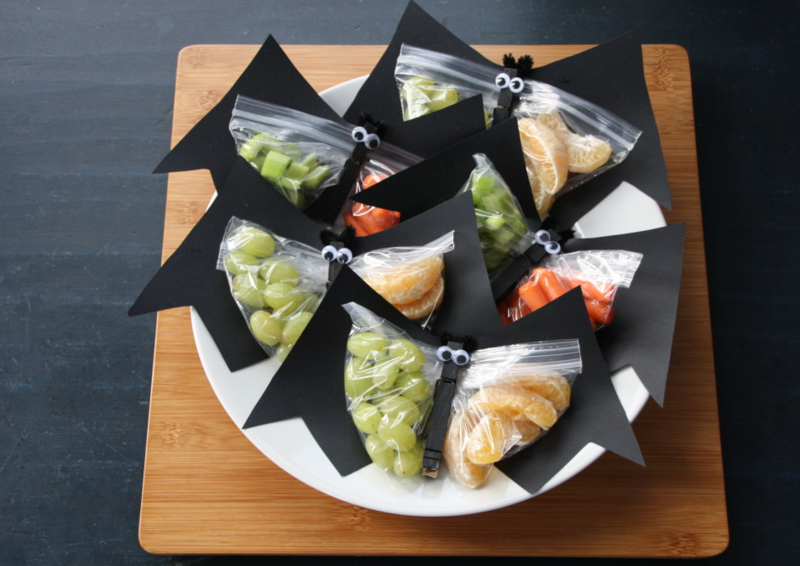 Veggie or Fruit bats are sure to be fun and easy.